We’ve been into plumbing business for over 20 years now. 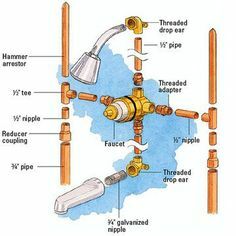 The extensive knowledge about pipes, drainages and every other plumbing-related problem, makes our team among the best and our services premium. Our company was founded in 1995 in Illinois by Ronald Meagan, who was in plumbing business long before he decided to open a firm. Our services include drainage cleaning, pipe fixing, installing toilets and replacing toilet seats, repairing toilet tanks, fixing sink drainage, etc. All our technicians are certified plumbers with degrees and various diplomas that prove their success. Whenever you notice that you have any problem with water pressure, don’t hesitate to call us or schedule maintenance. 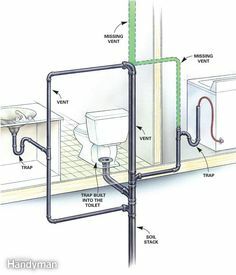 We want to become the best and most reliable company that offers plumbing services to our clients. You can also get bathroom elements from us. This way you won’t have to order what you need and then call us to install it. From the moment you call us until your bathroom is set, our call technicians will guide you. Not sure if you have a plumbing problem? Call us; we’ll send a team of technicians to examine your pipes and see if there is something that can be done about your problem. All this for no charge at all!